The Wiegands: wishing for fall. It's like 100+ degrees in Texas. I am ready for some cool, fall weather. Hot chocolate, boots, leg warmers, hats, snuggles by the fire... yes please!!! Yesterday I got the most fun package in the mail and it made me even MORE ready for fall and winter! sooooo, I just had to share the cuteness with you all!!! ahhh, sooo adorable -- i wanna snuggle with them! Ok, YES! So adorable! But I am trying to hold off on getting exited for fall... because the dreaded winter will soon follow. I know that is terrible of me, but this will be my 2nd (real) winter and I didn't handle it too well last year haha. O my! I love it! They look so good on them. Of course you can't wait to look this adorable! Oh my goodness, that is adorable! I'm sooo ready for fall too. This heat is unbearable! Even 80 degrees feels like a break! I am sooo ready for fall. I though I was the only one wishing my summer away. Once again adorable babies... I love seeing pics of them! Your little ones are too precious! what fantastic eyes your babes have! i can only hope mine will have ones just as blue and just as big! Those hats are so adorable! And your children are BEAUTIFUL. Your daughter's eyes in the last picture are stunning. such adorable crocheted goodness. Love it!! i'm so ready for hot hot to be over and wear snuggly, comfy layers and clothes. those knit treasures are to die for!! your kids are beautiful. oh my goodness! adorable. i am dying right now. this makes me want fall too! 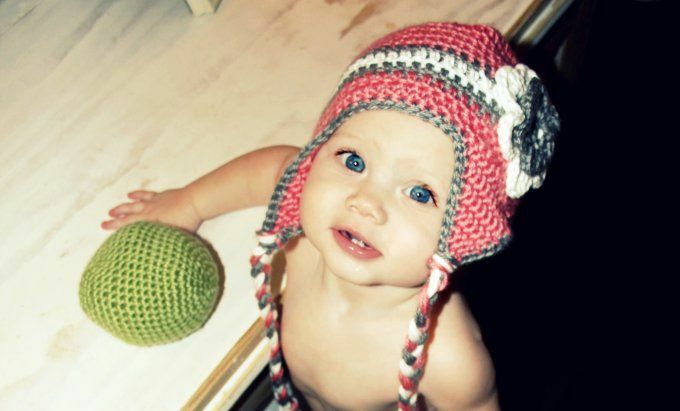 your kids are just presh and the beanies are to die for!! I cant wait till fall either! and your family makes me cant wait for my precious little ones!! precious. are your kids not perfection? so sweet. I hate this hot weather and am in the same boat. Sweating after a second of being outside is so not enjoyable! Your beautiful babies and their new "threads" are priceless! OH MY! Loving these adorable accessories and the cutest models I've seen as of late! You lucky girlie! Those are the cutest hats ever! What beautiful kids! you've got fab style! It's so fun running into new blogs! they are absolutely beautiful!! i can't wait until fall either!! but soon you will be in CA and it wont be nearly as hot. and it's a dry heat which is better!! 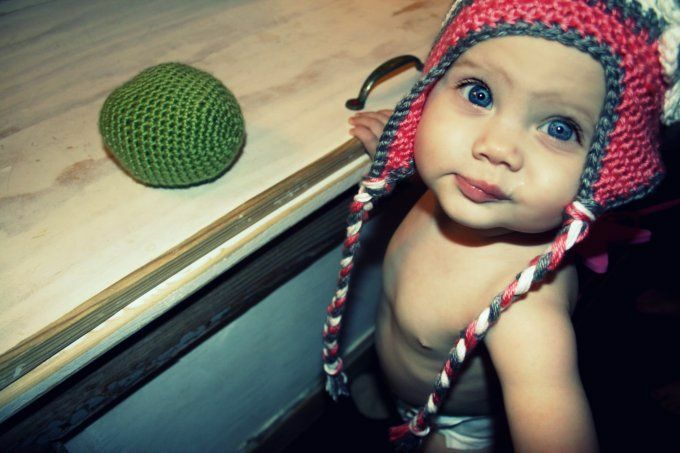 The biggest most beautiful blue eyes I have EVER seen!! Oh my goodness gracious! Your sweet babies couldn't be any cuter!!!! Love them like my own. Cute indeed! I love the name. So clever. And these kids? No words. XO. Wow so cute! I also love fall and can't wait for it to be here, but our temperatures lately haven't even reached 80 so for now I'm very thrilled summer is still here. I can handle this kind of summer weather. 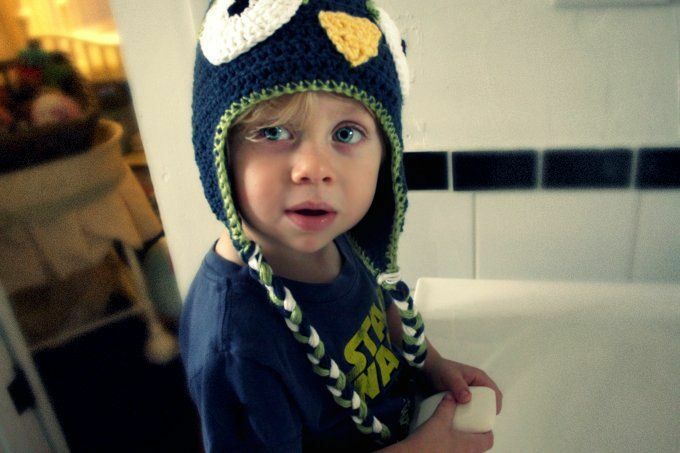 Your kids look adorable in those hats! That post is by far the cutest one!!! Oh my word....they have tickled me pick. And blue, to be fair!!!! Love it. And I did not realize you were in TX too. Houstonian right here. 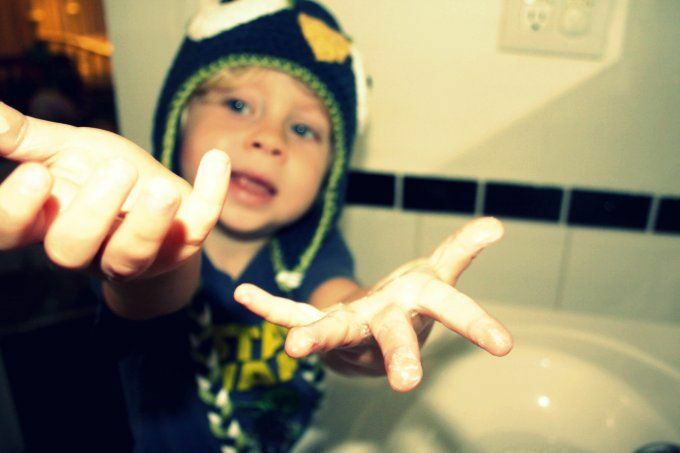 I just adore your blog, your family and YOU!!!! Plus...I was just thinking this morning....bring on fall. But...then realized....we are only through, like, HALF of OUR summer....ugh!!!! March through November, right? I know, really. I am thankful that we have not had any hurricanes or storms lately, but still can't wait for fall. It is my ab fave time of year. Bring on the scarves and Pumpkin Spice Lattes!!!! so cute! too bad you won't be ya'll won't be using any of that stuff in california. Swoon! 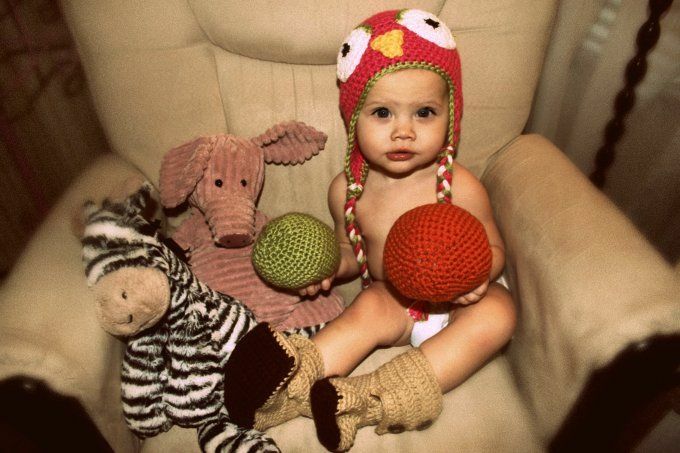 Those little knits are almost as precious as your babes. My 1st lil babe is due in Dec, and will come out needing some knits for the winter!! Can't wait for it to get here.